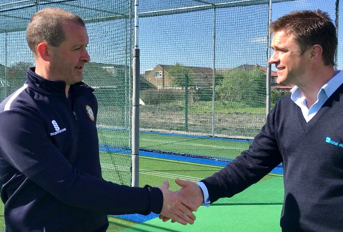 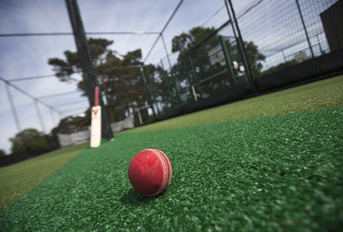 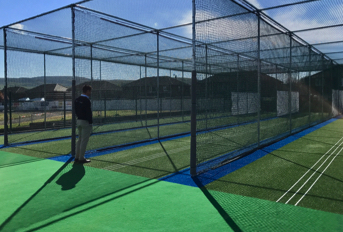 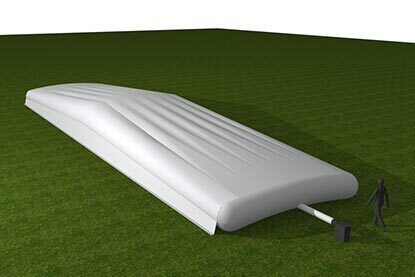 The Bio-cell offers the first hybrid cricket pitch covering solution. 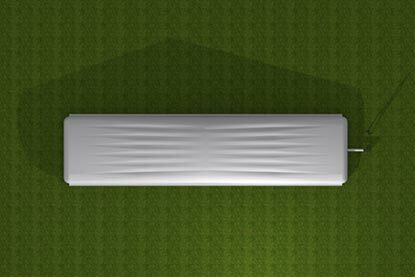 It has been developed to offer a waterproof ground cover that combines the benefits of both flat and raised ground covers. 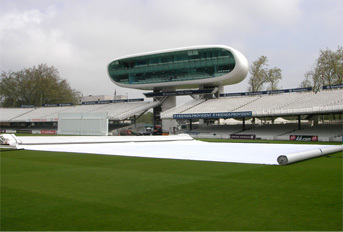 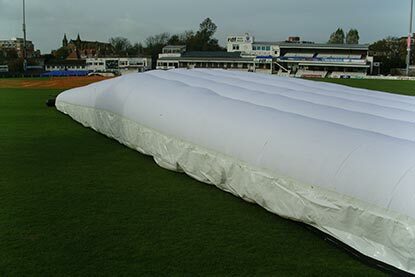 Made from the same unique fabric as The Climate Cover System, the pitch cover system can be used as either a flat sheet or inflatable raised cover. 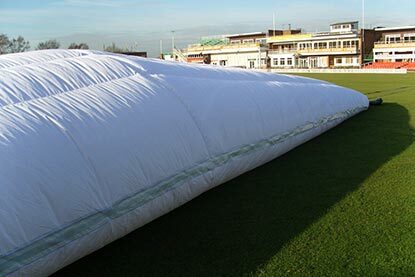 As a flat sheet, Bio-cell offers an easy to handle cricket pitch cover solution that allows air and nearly 60% of UV light to pass through the cover, whilst remaining 100% waterproof. 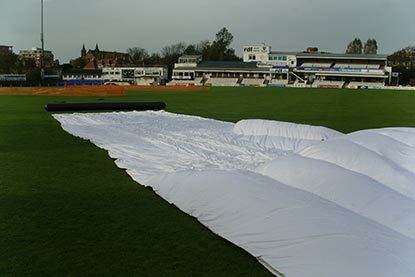 This means the cover can be used for long periods of time without damaging the plant or risking quality of playing surface. 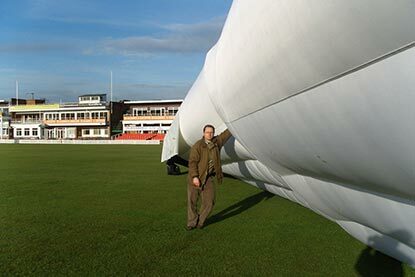 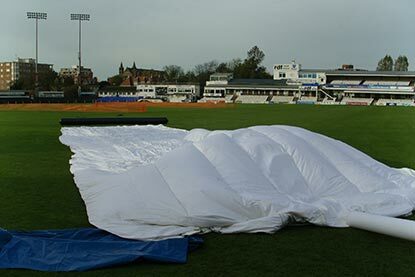 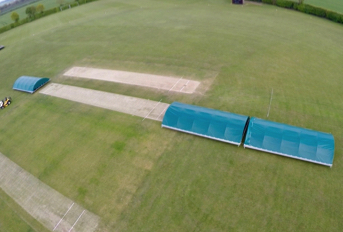 As an inflated cover, the system inflates via a high volume blower to form a raised dome over your cricket pitch. 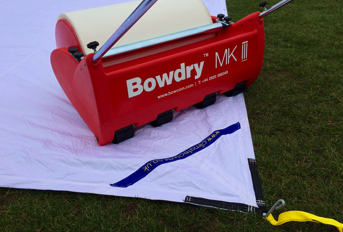 The constant, temperature controlled air flow enables the creation of the right climatic conditions for a healthy grass plant and can assist with pitch drying times. 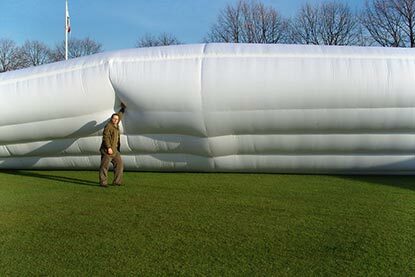 Please contact our team to discuss your specific requirements and pricing.